The following conditions govern the sale of the products presented on this website by the company Ute Prause SL (c / Guardia 14, 2º2ª Barcelona), registered in the Mercantile Register of Barcelona, Volume 41809, folio 0099, sheet 397716/ CIF B-65294035. All contents are the exclusive property of www.uteprause.com. Ute Prause SL including reproductions of articles, graphics, logos, images, text, illustrations, photographs and other distinctive signs, as well as software operation and development of this website. The reproduction, distribution, and any act of exploitation in any form not expressly granted by the holder of exploitation rights, are expressly prohibited. Ute Prause Ltd. does not grant any permission to use their intellectual property rights or other property related to the products presented here. In the case of data provided by users of this website, you grant Ute Prause SL the non-exclusive, royalty-free copyright and / or intellectual property in a perpetual, irrevocable and transferable to others, to use, reproduce, modify, adapt, publish, translate, create derivative services, distribute and display such reviews and comments around the world and in any media. 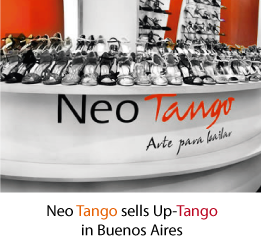 All trademarks and service names appearing on the website www.up-tango.com are trademarks and property of Ute Prause SL. For any questions, queries or suggestions, please send us your comments by email or by post to contact@uteprause.com – c/Guardia 14, 2º2ª 08001 Barcelona. Items offered on this website are a selection of products by Ute Prause and meet the same requirements for quality assurance and the rest of our products. Although there has been an effort to show the color of the clothes is as close to reality, the color of the clothes that appear on screen may be subject to variation depending on the quality of your monitor. b)The bag will contain the name and the 2 reference numbers of the product, size and price. c)The order sheet d solicit personal information and billing and data delivery will be added to our database in order to process the order and facilitate construction of new shopping www.uteprause.com. It should also specify the desired type and transmission, which in turn determines the rate of transmission. In the same way with a private area called “My Account” where you can view and modify their personal data, access to historical purchase orders and a locator. Remember that personal data should be indicated with accuracy to avoid any confusion in shipping. d)Once you have completed your order, and before the request, a summary of the total price (including transport) and shipping information. The order must be confirmed by clicking “confirm”. ePurchases must be made via PayPal. This online payment service offers different forms of payment. The charge will be done on-line, that means, in real time, through the payment gateway of the financial institution concerned, after verification that the data is correct. f)Once the transaction is confirmed it is communicated through the web order number to be able to track it from your computer. g) We sent an email with a summary of your order and personal details that have been reported. Non-receipt of this message may be a transient problem or a clerical error in the email. In both cases it is advisable to contact Customer Support. The prices on this website are shown in EUR. Taxes are included in the price listed on the web. The shipment will be dispatched when the payment is made via PayPal. PayPal is a free online service. With PayPal you can complete your purchase in a safe, fast and easy way and it offers you different forms of payment such as bank transfer payment, credit cards etc. You will receive the bill with the shipment. Transportation of the items purchased will be executed with the company Seur. Tracking of orders may be made through www.seur.com inside Spain and www.seurinternacional.com for shipping to other European countries. Transport rates are 6.50 EUR inside Spain (The Canary Islands, Andorra, Ceuta and Melilla 16.00 EUR) and 10.50 EUR to other countries in the EU (Turkey 18.00 EUR). We want you to be completely satisfied with your purchase. If you can not return within a period of 10 days counting the date it was received. To return the product must complete the return or exchange form found on this website. Not having used / washed or damaged. When you have completed the requirements, Ute Prause SL reimburses the full amount of the item purchased. The cost of shipping the original order (for outside of Spain) will not be reimbursed. And it is the client who pays the return shipping. If your refund could not be accepted for not fulfilling the conditions, we will contact you. If there was an error in shipping or the quality is not adequate. Please contact us to tell us the problem. The present conditions of purchase are subject to Spanish legislation so the sales shall be conducted at the home of Ute Prause SL, Barcelona. In case of dispute among the parties to this contract, jurisdiction shall be as appropriate in each case. In order to be able to shop at www.uteprause.com, the user must register beforehand, in order to be considered a customer. The details will be kept on the Ute Prause S. L. database, with address at c/Guardia 14, 2º2ª , 08001 Barcelona (Spain), with CIF number B-65294035, whose aim is to process the customer’s order and facilitate their shopping with the utmost ease and speed. Using your personal details, you will open an account with Ute Prause S.L, and if you should require an article on a future occasion, we will already have your details on file. Furthermore, with your permission, we will use these details to inform you, via e-mail or post, of new products, special offers and new developments/changes related to the products offered on this webpage. Ute Prause S.L. guarantees that the details provided by customers will not be passed to third parties or businesses. The details provided will be collected on the Ute Prause S.L server via protocol SSL, and their transmission will be carried out in an encrypted manner, thereby guaranteeing their confidentiality. The server automatically recognises: the IP address, date and time of entering and leaving the webpage, also the files it has downloaded. All personal details received will be dealt with in accordance with the Organic Law of Personal Data Protection 15/99 of 13 December, and with the other regulations in force in Spain. The users of this webpage may, at any time, access, rectify and cancel their details included in the registration form in writing, via e-mail or by post, to the address c/ Guardia 14,2º2ª, 08001 Barcelona (Spain). Web design and SEO: Shaleah Dancy.